Rajpura Dariba Mine is an underground lead-zinc mine with reserve grade of 6.6% and is one of our oldest mines where mining operations began in 1983. The mine achieved its highest ever ore production of 0.9 million MT and highest ore treatment of 1.0 million MT in FY 2018. Mine is presently accessed via decline and main shaft. Similar to SKM, RDM ore body also allows for multiple production centres in future with potential to mine 2.0 million MT per annum of ore. An exploration program is under process to identify additional resource. Total reserves are 9.3 million MT and mineral resources are 50.7 million MT as on March 31, 2018. 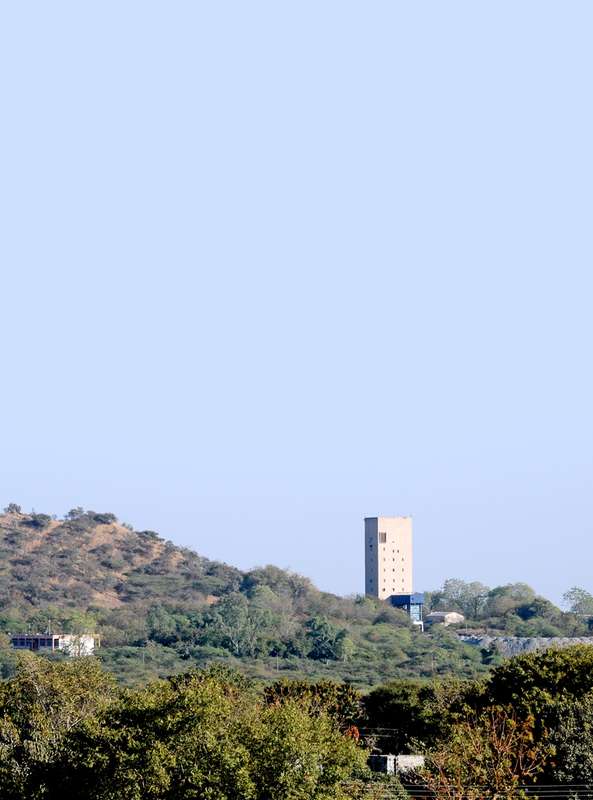 Rajpura Dariba Mine is an underground mine, commissioned in 1983. It is located about 75 kilometres north-east of Udaipur, in the state of Rajasthan in India and is well connected with roads. Water requirement is met from the Matrikundia dam on Banas River. Power requirement is met by our captive power plants. Any shortfall is met by the State grid. Mining is carried out using the Blast Hole Stoping method with mined out stopes backfilled with cemented tailings. The ore is crushed underground before being hoisted to the surface. It is then crushed again and milled before undergoing a flotation process, to produce the concentrate. Zinc and Lead concentrates produced are transferred to our smelters. The tailing generated due to beneficiation of ore are stored in specially constructed tailing dam which is considered as the most compatible on-site storage facility for long term disposal of tailings. The base of the tailing dam is fully sealed by the application of a layer of impervious soil at bottom. After settling the tailings water gets recycled to plant thus maintain zero discharge.